Live Laugh Decorate: An Award? Yes, Yes. 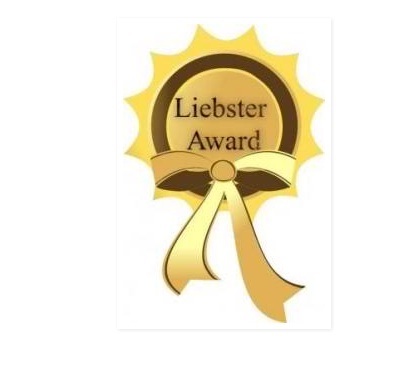 A Liebster Award it Is. An Award? Yes, Yes. A Liebster Award it Is. We've been nominated for our first blogger award by the wonderful Danielle over at Nana Moon Shop, who was herself nominated by the amazing Patty at Patty's Epiphanies. Man, what an honor. As you know, there is no award ceremony per se, but rather it's a chance to share some revealing tidbits with our fellow bloggers/readers. So we'll state 11 facts, answer the 11 questions posed to us, followed by a list of 11 questions we came up with for the bloggers (with under 200 followers) who we nominated. I drink at minimum, two cans of sugar free Red Bull everyday. Please don't judge! I hate the mall and grocery shopping (my amazing hubby does all our grocery shopping); I'd rather spend an entire day at the fabric store or furniture shopping. For my 30th birthday, I went to Paris with my cousin Lisa and am still in awe of Versailles. I cannot sleep in an unmade bed. I have the cutest son ever. I've been drunk only once in my life. At least, that's the one time I can recall. I had my first real heartbreak when I was 19 years-old. I mailed (yes, I said mailed) all his love letters/gifts back to him and wore black for a month. We are now the best of friends and he attended my wedding! 1. What is your passion in life. Interior design. I dream about the projects I work on and could definitely do this for free. Even when I've had a challenging project, I get over it the minute I start planning the next project. My grandmother Enid. She is an avid reader and writer and has perhaps written the most letters to the editor in the Jamaican newspapers. I believe I got my writing chops from her. She's also 81 years-old and looks 50. I pray every day that I'll be equally blessed! 3. Why did you start writing a blog. I became a certified wedding planner in 2010 and creating a blog was a class requirement. I started the blog then did nothing with it. When the class was over, I dusted it off, gave it a new name, new design and new attitude when I realized it would be a great place to share the behind the scenes process of our projects and other loves. Debbie, my amazing design assistant, was a natural, especially at finding amazing photos and soon joined along. 4. Are you a morning or a night person. Hmm...A little of both? I can't stay in bed once the sun is up but I also get a lot done late at night. Orange. Er, just take a look at the NWD logo and our blog header! My office. So much to do, so little time. Silver. Never ever liked gold. Strange, but true. The beach. Nothing beats seeing that endless bounty of blue water. And to think, in a few weeks I'll be able to actually swim in said beach. I'd love to return to Europe to visit Italy, Spain and London. I wear a wrist watch every day. The first thing I purchased with the first pay check I earned in this country, was a Guess wrist watch. Cost a whopping $65 and lasted 15 years. What is the most scandalous thing you've ever done? Have you ever been fired from a job and why? Would you prefer to live in a house with white walls or one with splashes of color? If you had five minutes to pack your five favorite possessions, what would they be? If you could get one do-over in life, what would it be? Jeno, Letterman or Andy Cohen? Thanks Marilyn. And thanks too for the award! We're are tickled pink. It was great getting to know you! Thanks for the award ladies! You're welcome lady. We need to get some DIY tips from you for our readers. So not our forte! Great Answers and Great Questions. Loved learning the unknown!! You are most welcome lady. TGIF. Thanks for the award! You are so sweet to think of us. I cannot believe you drink that much Red bUll!! They should sponsor some of your posts! LOL. Your son is too cute and I hope you have your grandmother's genes. Sigh. I do. But I'm trying so hard to kick that Red Bull habit. I did it when I was prgenant so clearly it can be done. I'm praying everyday about my grandma's genes. She swears by Oil of Olay so of course I over overboard with that product every day! You're welcome lady. So smitten with you Texans. The girls from Mimosa Lane live there as well. Hope you are following each other. Thanks Tiffany. Paris was an amazing moment in my life. Spent 10 days and it wasn't enough. You should definitely go. Thanks soooo much for the nomination. I enjoyed your answers too. You are welcome lady. So great to have a new friend over in your neck of the woods. Oooooh thanks for nominating me sis! These questions look fun!